Summer time is the time to get away from it all and have some R&R. As a digerati (or not), you have to bring your laptop right? What better way to protect your laptop than to store it in a Marc by Marc Jacobs sleeve? 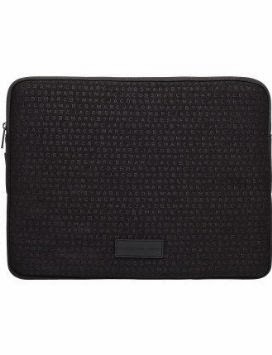 This Marc by Marc Jacobs computer sleeve is the ultimate home away from home for your laptop. The form fitting construction is lined with faux fur to keep your baby safe, secure and oh so scratch-free. The Marc by Marc Jacobs custom styling shows the world you know how to let loose, even when you play it safe. The giveaway commence tomorrow at 9AM!!! Be sure to come back and enter!